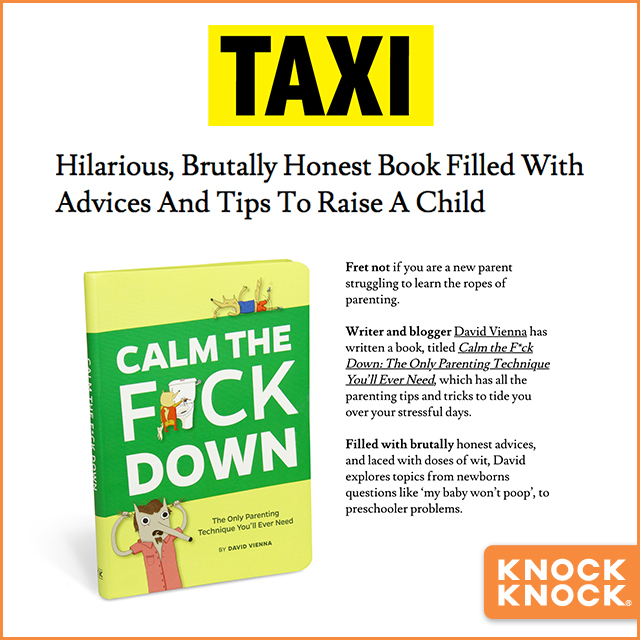 DesignTAXI featured our parenting book, Calm the F*ck Down: The Only Parenting Technique You’ll Ever Need by author and parenting blogger David Vienna of The Daddy Complex. Dubbed “hilarious and brutally honest,” this book will remind you that (almost) nothing is worth freaking out about. Check out the full story here.